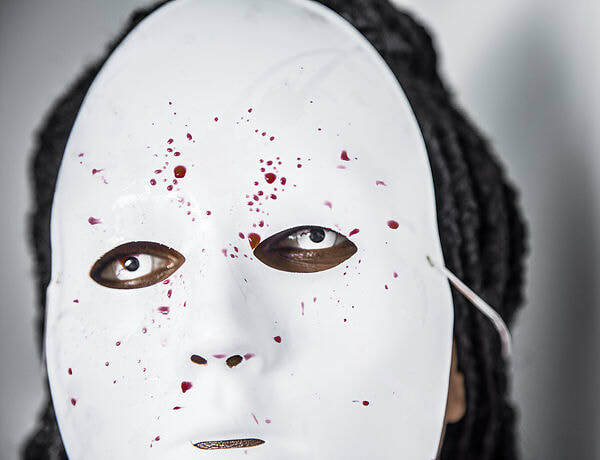 "They will Know You by Your Fruit"
Co-creators Valerie Bah and Monika Estrella Negra are happy to announce that their project "They Will Know You by Your Fruit" has been chosen by both Toronto's Bloody Mary Film Festival and Brattleboro, VT's Ax Wound Film Festival! For dates and times, follow the links on each laurel! True to the ARF mission, Monika Estrella sets out to share our visions of Horror with the students of Yale University with a multimedia presentation examining black representation in horror. 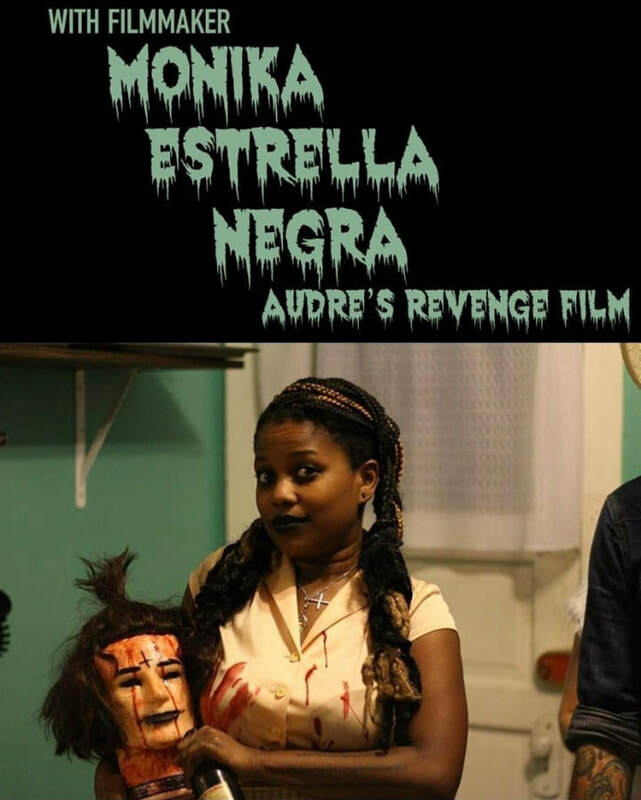 "No More Room in Hell: A Half-Century of Undead Media"
Along with a screening of FLESH, Monika discusses past and present trends in horror, and how Audre's Revenge is forging a new path. Written by and starring a Black Queer Woman, Bitten: A Tragedy deals with microaggressions and transgenerational trauma. 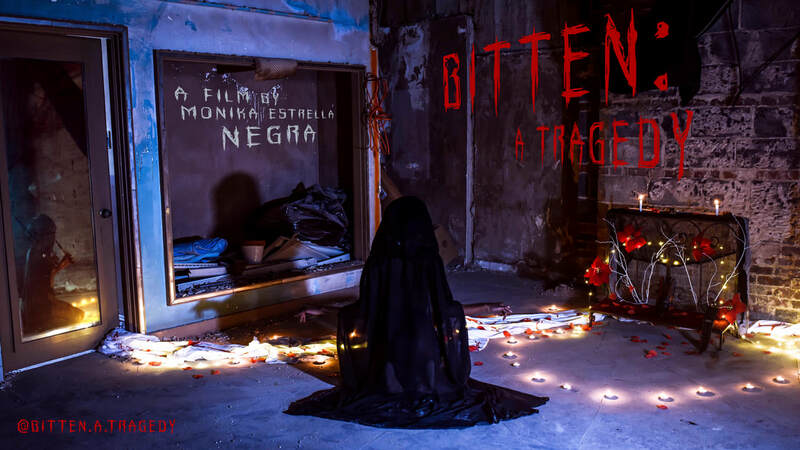 In keeping with the creator's subversive artistic expression and radical politics, Bitten is channeled by Queer POC in front of and behind the camera with a love for horror. 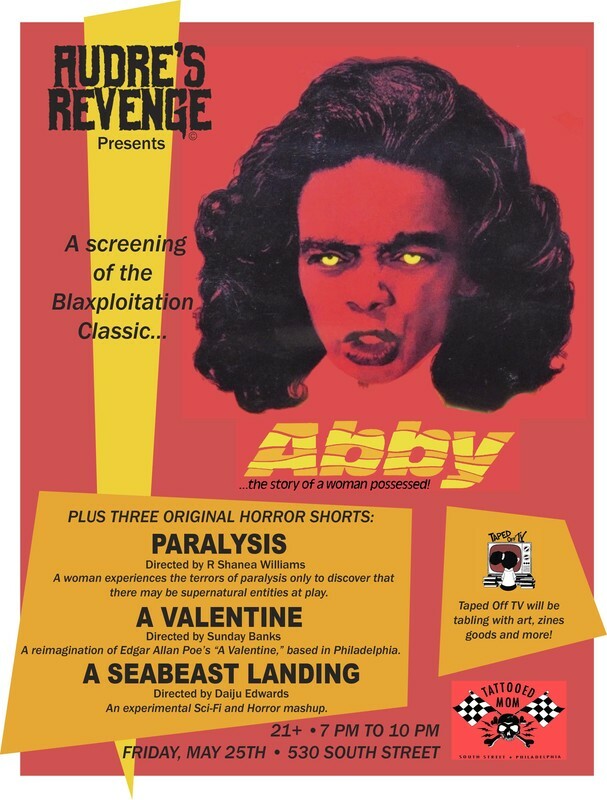 Audre's Revenge is hosting a screening of the 1974 classic Blaxploitation film ABBY, referred to at the "Black Exorcist," along with three original short films by black filmmakers and tabling by Taped Off TV. Taking place at Tattooed Mom with plenty of great drinks and delicious food. Details on the flyer below! Don't forget to hit up BREAK FREE FEST II this weekend as well! Punks sharing their continuation of resistance! Audre's Revenge is a collective of creatives, determined to promote visibility of QTIBIPOC in the Sci-Fi and Horror Universe. In 2015, we created this space to network filmmakers, writers, actors and artists, to inspire timeless and important work.